 Objectives This study assessed the extent to which working various types of nonstandard shift schedules (eg, night and evening shifts) is associated with the risk of occupational injuries or illnesses. Methods Multivariate analyses were conducted using data from 13 years (1987 to 2000) of the National Longitudinal Survey of Youth (NLSY) encompassing 110 236 job records and over 82 000 person-years of work experience. Cox proportional hazard regression techniques were used to derive hazard ratios comparing the relative risk of suffering a work-related injury among people working night, evening, rotating, split, and irregular shifts to the risks for those working conventional day shifts, after adjustment for age, gender, occupation, industry, and region. Incidence rates were normalized using a common denominator of 100 person-years of “at-risk time” to obtain valid comparisons. Results All of the nonstandard shift schedules, except split shifts, were found to have a higher risk for occupational injuries and illnesses than conventional day shifts. After control for the selected covariates, the calculated hazard ratios were 1.43 for evening shifts [95% confidence interval (95% CI) 1.26–1.62], 1.36 for rotating shifts (95% CI 1.17–1.58), 1.30 for night shifts (95% CI 1.12–1.52), 1.15 for irregular shifts (1.03–1.30), and 1.06 for split shifts (0.71–1.58). Conclusions These findings suggest that nonstandard shifts are not more risky merely because of the concentration of hazardous jobs in those types of schedules or because of underlying differences in the characteristics of employees working nonstandard shifts. The results point to the need to extend targeted injury prevention programs not only to people working night shifts, but also to those who work evenings.